Early recognition and activation of 911 for Stroke and Heart Attack Victims saves lives. By learning how to provide basic First Aid you can know what to do to help in case of an emergency. Additional training to learn CPR and how to use an AED can help make the difference in saving a life. Clayton County Fire and Emergency Services responded to over 300 stroke patients last year (2016). In 2008 Southern Regional Hospital became a Primary Stroke Center and in 2012 began its initial collaboration in addressing stroke care in the community with CCFES. Every year about 800,000 people in the United States have a stroke. 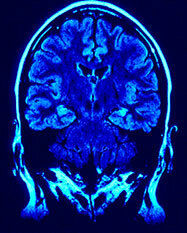 Stroke is the fifth leading cause of death in the United States and is the major cause of adult disability. Fact on average someone in the US dies every 4 minutes from having a stroke. Stroke is a medical emergency. 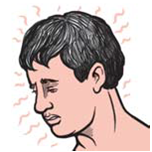 Do you know the signs of a stroke? Receiving immediate treatment is important in preventing death and disability from having a stroke. By knowing the signs and symptoms of stroke, you can be prepared to take quick action and perhaps save a life—maybe even your own. 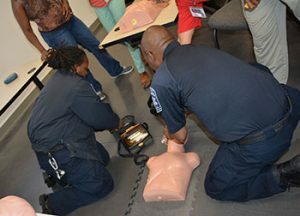 In 2016 Clayton County Fire & Emergency Services responded to 288 Cardiac Arrest Victims and over 11,338 patients experiencing chest pain. It’s easy to delay action when a heart attack occurs for this simple reason: You may not think it’s a heart attack. 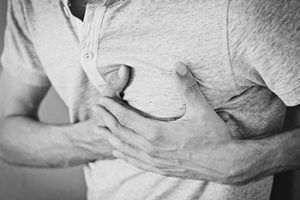 A heart attack may also begin with mild pain or pressure in the chest. Unfortunately, any delay in taking action can mean greater damage to the heart muscle. For the best odds of saving the heart muscle, a heart attack victim must get to the emergency room immediately, where doctors will try to reopen the blocked artery within 90 minutes of arrival at the hospital. Get to know the heart attack warning signs. However, NOT ALL HEART ATTACKS ARE PRECEDED BY CHEST PAIN. These heart attack symptoms are more common in women. They may occur without chest pain. People who have diabetes or are elderly may also experience atypical heart attack symptoms. If you or someone you are with experiences any of the symptoms above, get help immediately. Don’t delay. In a heart attack, every second counts. Dial 911 to get to the hospital as soon as possible. If you can, chew an uncoated aspirin tablet. This can help slow blood clot formation while you wait for Clayton County Fire Department’s (EMTs and Paramedic’s) to arrive in an ambulance. REMEMBER EVERY SECOND COUNTS ! 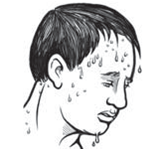 The chart below shows symptoms and first aid measures to take if a worker shows signs of a heat-related illness. Take to clinic or emergency room for medical evaluation or treatment if signs or symptoms worsen or do not improve within 60 minutes. Get CPR Certified by your fire department. Clayton County Fire and Emergency Services offers CPR Certification Classes for the general public throughout the year. The intent of these classes is to equip citizens with the knowledge and understanding needed during a cardiac emergency. These classes are ADULT only and intended for the general layperson. The “Heartsaver CPR with AED Course” provides training for adult resuscitation only. The course/class will begin promptly at 9:00 AM, and is approximately 4 hours in duration, including skill verification portion. Please review our CPR/AED Admission Policy for important details.